Welcome to Biidoro's Website. 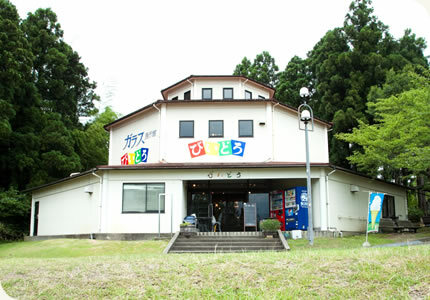 Biidoro Koobo Studio and gallery is located in Karion Park,Tsukioka, Shibata-shi Niigata. 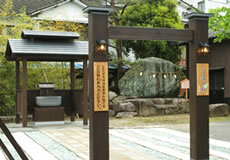 More details about location:surround in sightseeing spot area and hot spring. 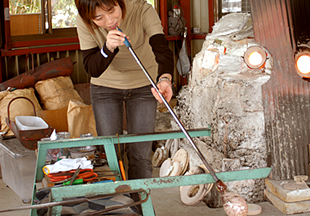 You can make your own glass art piece work like: Fuki glass – Air is blown into melted glass Tombo Dama－ Marble Experience. 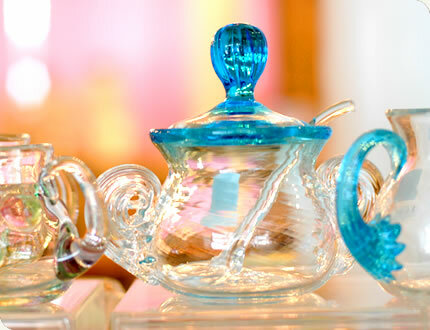 There are original glass objects that are available for your viewing pleasure, as well as purchase. They vary in color and shape. 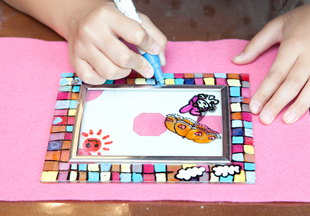 Visitors are also welcome to create their own glass masterpieces. 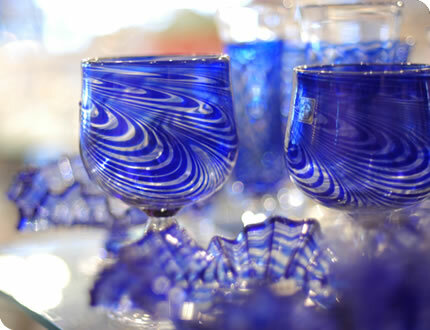 At the shop, there are one-of-a-kind glass pieces that are made by local craftsmen. Visitors can tell the difference in these handmade products and the heart that was put into them. Glass pieces range from glassware, floral vases, and lampshades. Keep in mind that no two pieces are the same. Each piece is beautifully unique. Besides our own glass pieces, we carry miniature glass music boxes and accessories, along with seasonal items like Christmas décor. Air is blown into melted glass. An original piece will be created. Since it needs to cool, you may pick up your glass piece the following day. *Note: Participants 150 cm and shorter will experience less time working with glass because assistance is required. 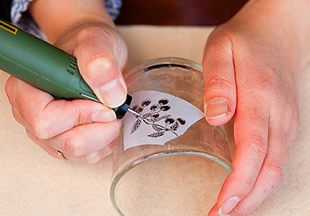 While working with a special tool, you can create your own calligraphy on to glass. You can take home your original glass piece that same day. 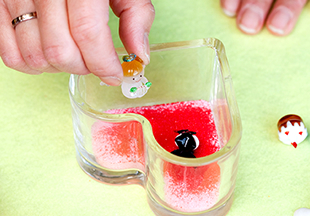 By layering colorful sand, you can create a beautiful base for your handmade glass candle holder. 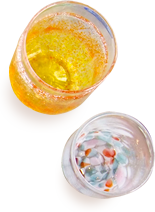 Next melted gel wax is poured until the glass jar is full. Lastly, miniature glass figures adorn the base of your candle. You will use a magic ball pen (similar to paint) to draw on to glass. It is very popular among children. 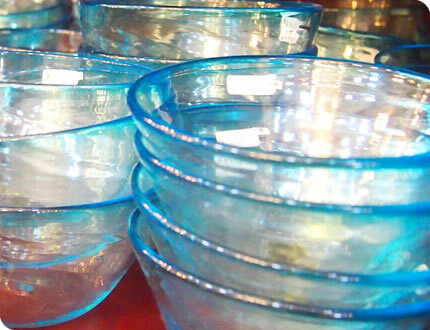 Glass pieces may be taken home on the same day. It is not water proof. Create your own kaleidoscope made from 3 way mirrors. It is very popular! Kaleidoscopes may be taken home on the same day. 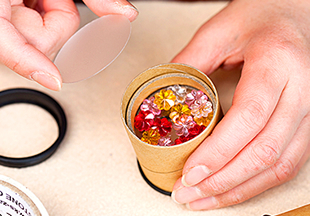 Decorate your own music box with a glass topper. 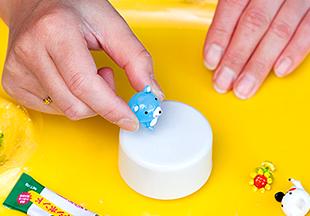 While using sand, miniature glass figures, and glue, you will be able to make your own beautiful music box topper. It may be taken home on the same day. To make this glass bead, first pick your favorite color. 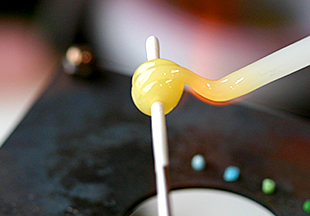 Then turn the glass stick to make a ball while touching the burner. Designs are also created. Glass bead may be taken home on the same day. 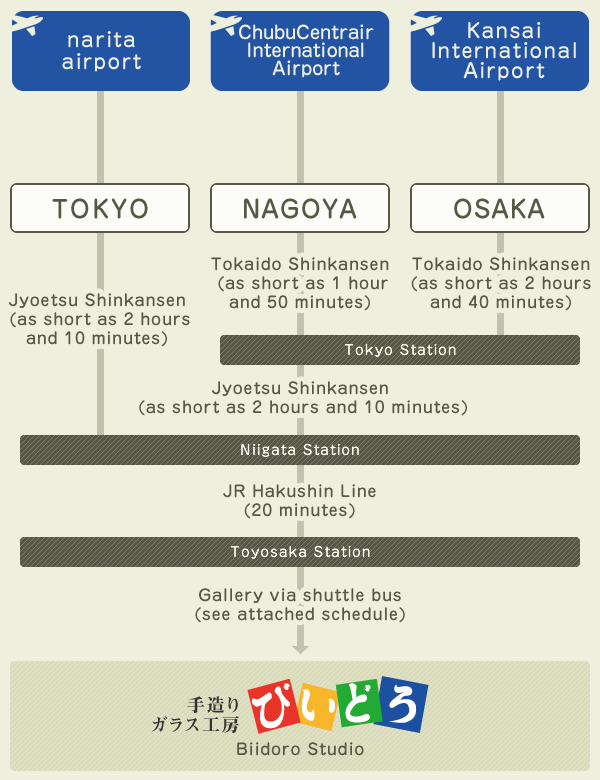 Please have the following information ready when making a reservation. 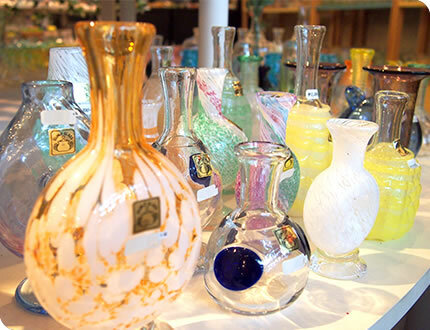 The Fuki Glass Taiken and Tombo Dama Taiken are made using high temperatures. Since we are working with high temperatures up to 1300°C, keep in mind that our employees have been properly trained. *Please note that we are not responsible for any personal injury on our premises. 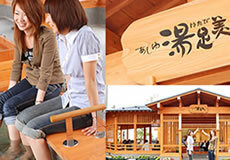 Hot Springs great for foot treatment, located at Princess Moon Plaza. Great for hand treatment, also Tsukioka Hot Springs are wonderful for your complexion and you can also drink the water from the hot springs fountainhead. 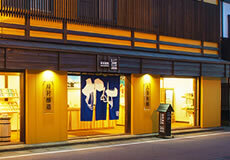 Niigata is one of the famous sake brewers in Japan. There are 92 different sake brands to enjoy. You can taste test various sake. 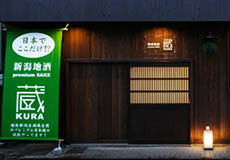 Where you can enjoy a lot of tasty Japanese pickles and dry seafoods. They are good for health and beauty.